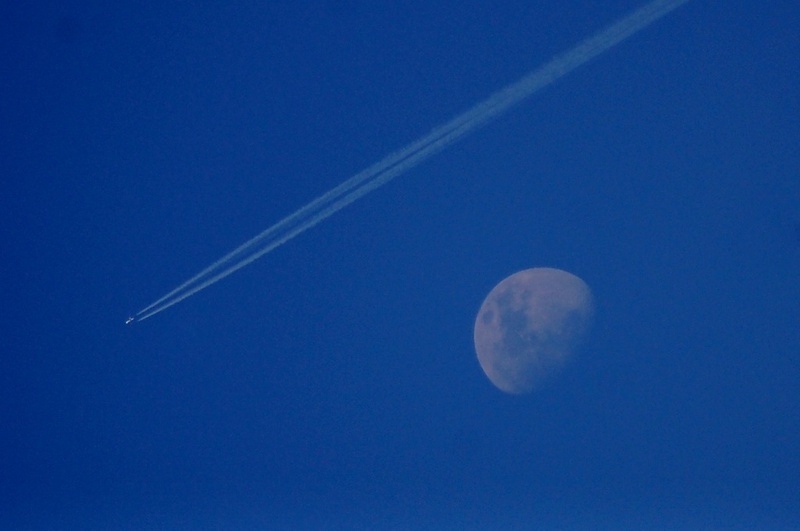 Tried to capture this plane flying across the moon, free hand and on full zoom... damn hard keeping steady! Am quite pleased with the outcome, just a little crop was all that was needed..
Love this photo -- its composition is great. I'll keep my fingers crossed that you can do BBQ tomorrow. great shot of the moon...I can see his face clearly. Thats come out really well. Liking it. Saw this the other day and by the time I grabbed my camera the plane had left the frame. Swore that I would capture this at some point. Glad to see someone was successful :). Great shot Andy. Great picture Andy! The planes are back in our skies. Hmmm not so sure about the odds on a bbq....keep us posted!